Russia-Ukraine Gas Deal: Who Got It Wrong? 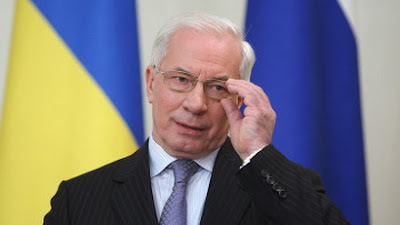 MOSCOW, Russia -- Ukraine wants to "reset" ties with Russia but Prime Minister Mykola Azarov may have pushed the wrong button, a Russian government daily said on Friday. Azarov met with Russian Prime Minister Vladimir Putin at a government residence near Moscow on Thursday amid pledges to repair Russia-Ukraine ties badly damaged during the previous 'Orange' presidency of West-leaning Viktor Yushchenko. Ukraine is unhappy about the gas legacy left behind by former premier Yulia Tymoshenko, who signed a long-term gas deal with Putin in early 2009. Adding to the fuel mix-up, Russia introduced a market gas price for Ukraine earlier this year, which means that Kiev will have to pay $305 per 1,000 cu m of Russian gas in the first quarter, and the price is set to rise. Ukraine has said the price is "unreasonably high," pointing to Belarus, which only pays $168. Putin deflected the Belarusian argument, saying that Russia and Belarus "are building a Union State and the Customs Union, and that is why we do not take a 30% custom duty [off Belarus]," according to Rossiiskaya Gazeta. Indeed, in saying this, Putin may have indicated where Kiev is going wrong. "Here is [where one finds] Ukraine's interest about integration in the post-Soviet space. It is essential that our colleagues assess and weigh everything up and understand what is necessary and what is not," he said. While Moscow has consistently said there are no real obstacles to prevent Ukraine from joining the Customs Union of Russia, Belarus and Kazakhstan, Kiev has so far been reluctant to do so. In return for cheaper gas, Ukraine has offered Russia a stake in its state gas transportation system, involving the EU and Ukrainian companies. The system currently accounts for about 80% of Russian natural gas exports to Europe. While Putin indicated that Russia was positive about the idea of creating the gas consortium, which would give the Russian gas giant Gazprom direct access to Ukraine's gas market, many experts believe that the project is somewhat overdue, now that Finland and the Baltic states have lifted environmental concerns over the construction of the Kremlin-backed Nord Stream gas pipeline. The two premiers told a press conference after the meeting that Russia and Ukraine would not directly link a reduction in prices with Russia's stake in the consortium. Putin said there were no proposals on the table on the principle of "you give us the pipeline and we will give you the [lower] gas prices." Ukraine's gas transportation system is Europe's second largest gas pipeline network and the main route for Russian natural gas supplies to European consumers. In early 2000, Kiev and Moscow discussed the possibility of creating a gas transport consortium with the involvement of EU partners to manage and modernize Ukraine's Soviet-era gas pipeline network.